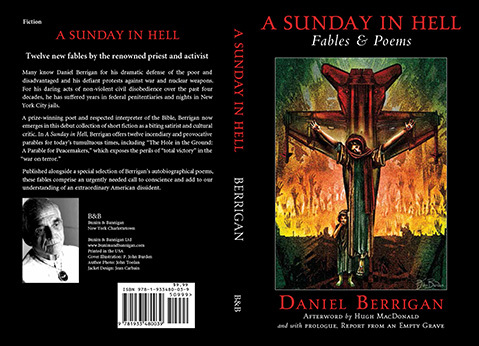 A Sunday in Hell - Fables & PoemsBy: DANIEL BERRIGANAfterword: Hugh MacDonaldNew fiction from a leading activist and peacemaker.Many know Daniel Berrigan for his protests against injustice and war and nuclear weapons. For his acts of civil disobedience over the past four decades, he has suffered years in federal penitentiaries and nights in New York City jails.A prize-winning poet and respected interpreter of the Bible, Berrigan now emerges in this debut collection of short fiction as a biti..
Alone Against Gravity Einstein in Berlin: The Turbulent Birth of the Theory of Relativity, 1914-1918 By Thomas de Padova Translated by Michal Schwartz This informative and suspenseful book depicts Albert Einstein in a new light and illustrates the emergence of his general theory of relativity in the midst .. Dancing on a Powder KegThe Intimate Voice of a Young Mother and Author, Her Letters Composed in the Shadow of Hitler’s Third Reich;Her Poems from the Theresienstadt GhettoBy Ilse WeberTranslated and Foreword by Michal SchwartzRuth Bondy on TheresienstadtAfterword by Ulrike Migdal ”I have read many accounts, but this account by someone who did not survive… is exceptional.”- Prof. Yehuda Bauer, Yad Vashem ”This sobering, respectful collection brings a haunting legacy out of the viciousness .. AUTHOR: ISLE WEBERTranslated from the German by Hans and Ruth FisherPublication Date: October 11, 2012View Promotional PDFMendel Rosenbusch lives in a small house behind the synagogue in a rural village. All the children love Mendel – he always has a bowl of delicious baked goods when they visit him on the Sabbath. Decent, friendly people love Mendel without knowing what makes him so likeable; while stingy, unfriendly people frown at him without knowing why. Mendel Rosenbusch seems to know every..
Also Available in SoftcoverOblomov By IVAN GONCHAROVTranslated by Stephen PearlAwarded the 2008 AATSEEL Prize for best translation from Slavic language to English ATSEEL is the Association of Teachers of Slavic and Eastern European LanguagesIntroduction by Galya DimentForeword by Tatyana TolstayaWhat happens when a loveable, indolent man falls in love? A classic of world literature.Even though Ivan Goncharov wrote several books that were widely read and discussed during ..
Our Lady Of SteerageBY: STEVEN MAYOFF"The present moment is unlike the memory of it. Remembering is not the negative of forgetting. Remembering is a form of forgetting.”This quote by Milan Kundera sets the tone for the story of 19 year old Mariasse Knyszinski, who, in 1923, has run away from her home in Kraków to be with her cousin, Piotr, in Montreal.Aboard the S. S. Montmartre she meets a young Jewish couple, Shulim and Betye, who have suffered the loss of their 5 year old son. Betye’s grief i..
a modish elderly care facility. But things are not as they seem, and there are still battles to be won. 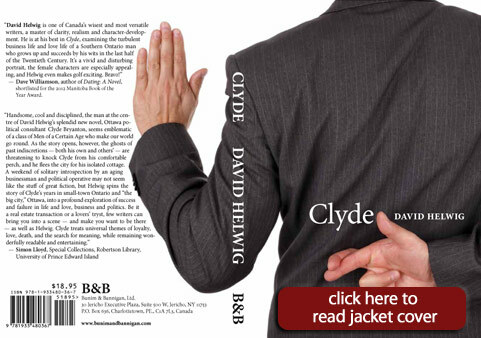 Ivy fights for her convictions with dignity against bureaucrats and bunglers. At once poignant and humorous, this is the touching story of a proud woman’s painful adjustments to the realities of aging, changing standards, and mother-daughter misapprehensions. Barbara P. Parsons was born in Portsmouth, England, to a naval family. After working overseas in many different lands, she came to the U.S. with her American husband in 1973. She presently resides in Prince Edward Island, Canada. She was active for many years in green and animal liberation issues, and contributed articles to Sierra Club’s Wildlife Involvement News and edited the UFETA (Unitarians for Ethical Treatment of Animals) newsletter. Her novel, Beulah Kettlehole and the Patriarchal Ice, was first published in 2001 by the Writers Club Press and reprinted in 2016 by Bunim and Bannigan. a modish elderly care facility. But things are not as they seem, and there are still battles to be won. Ivy fights for her convictions with dignity aga.. The Ballad of Billie PottsBy Robert Penn WarrenIllustrations by P. John BurdenIntroduction by John Burt MID-CENTURY AMERICA’S MOST PROFOUND & HAUNTING POEM IS GIVEN NEW DIMENSION IN NEW, RICHLY ILLUSTRATED EDITION FROM BUNIM & BANNIGAN “There is always another country and always another place.There is always another name and another face.” One of the most significant early works of Robert Penn Warren (1905-1989) – the American write.. 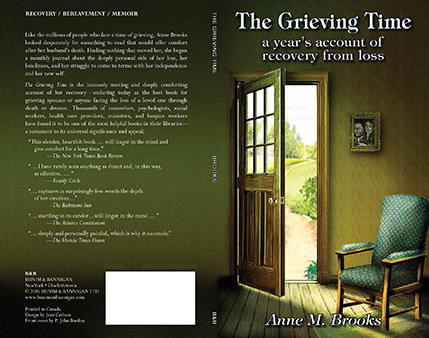 The Grieving Time - A Year's Account of Recovery from LossBy: ANNE M. BROOKSMore than 150,000 copies sold.A modern classic on the subject of death and dying. The late Anne Brooks looked desperately for something to read that would offer comfort after her husband’s death. Finding nothing that moved her, she began a monthly journal about the personal side of her loss, her loneliness, and her struggle to come to terms with her independence, with her new self.Day by day, The Grieving Time reco.. 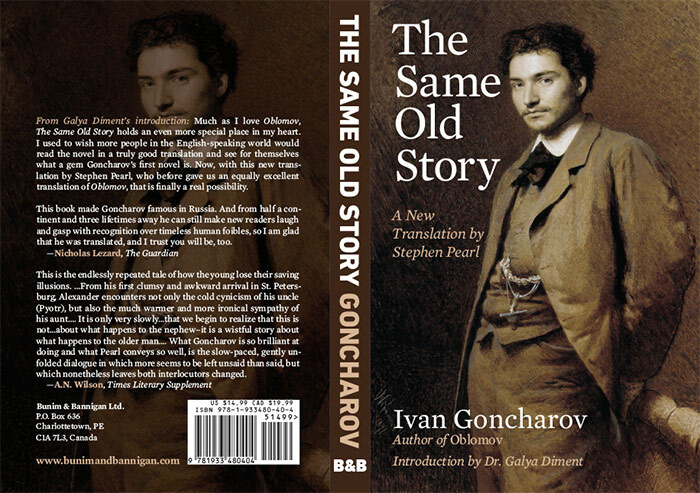 The Same Old StoryBy Ivan GoncharovTranslated by Stephen PearlStephen Pearl’s new translation of Goncharov’s Obyknovennaya Istoriya, will introduce English speakers to a Russian classic that made its author famous, and which is just as amusing and fascinating as Goncharov’s better known Oblomov, which probably owes its greater fame to the fact that the self-indulgence of the eponymous Oblomov became part of the Russian vocabulary. The same p..